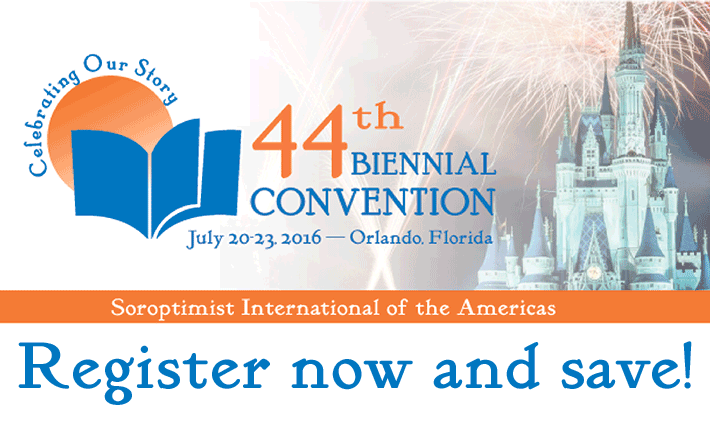 Are you coming to Orlando to help celebrate the Soroptimist Story? Register now and save! After May 20, registration fees will increase by 25 percent. Everyone who registers prior to the early registration deadline will also be entered to win one of three great prizes! Is your club sending a delegate? Take advantage of free registration fees (one delegate per club) and have your club represented to help plan for SIA’s future! Workshop information is now available! Choose your sessions and learn about our keynote speakers and workshop presenters! Be a volunteer at convention and we will treat you to breakfast! Contact convention chair, Pat McCay at siavolunteerorlando@gmail.com for more information. Visit the SIA convention page for all the latest information. Women are known to be great jugglers. We balance our careers, families, friends, etc. but sometimes when it comes to finances, we can drop the ball. It’s time to change that—especially when the U.S. Bureau of Labor Statistics reports 90 percent of women will have to manage their finances on their own at some point in their life. Check out this blog post to learn more about taking control of your finances today! Check out SIA’s resources that can help you provide additional assistance to your club-level Live Your Dream Award recipients. 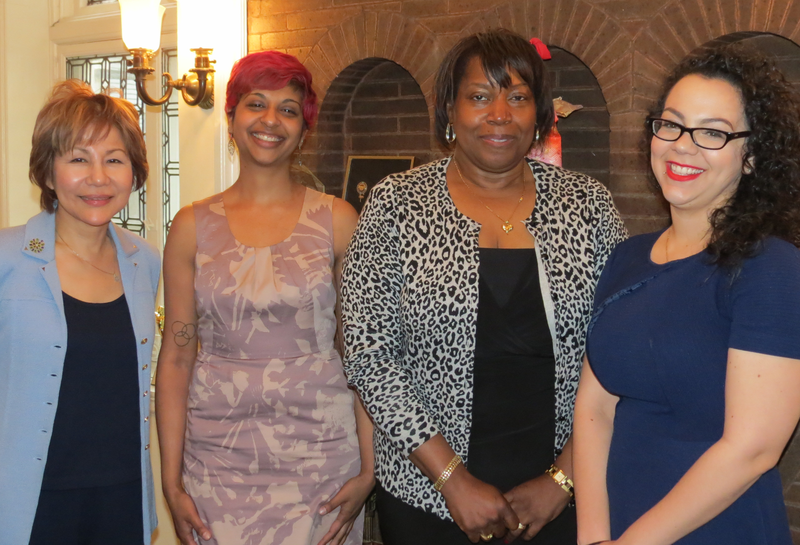 (Left to right) Kazumi Teune, Executive Director, Japan America Society of Greater Philadelphia; Chris Chacko, Board Member, Girls Rock Philly; Valery Bailey, Director of Finance and Administration, Covenant House Pennsylvania; Vianca Vargas, Family Service Specialist, New Jersey Division of Child Protection and Permanency; (not pictured) Corinne Warnshuis, Executive Director, Girl Develop It. Remember to include your evaluation information in the Dream It, Be It database before June 1. This step is critical in our efforts to measure the impact of the program on girls who participate. All clubs that complete the online evaluation will be entered into a random drawing to receive $1,000 for their next Dream It, Be It project. Report to your region on your outstanding 2015-2016 program, fundraising, membership and public awareness projects. Federation recipients receive $500 to support their club-level projects! Invitations are currently being sent out for the Laurel Society event at convention in Orlando, Florida, this July! The theme of the party this year is “It’s a Small World” and we look forward to celebrating our small Soroptimist world and the big dreams you all make possible! Attendance is by invitation only to new Laurel Society members and active Laurel Society members who have contributed at least $360 since September 1, 2014. So send your gift today to ensure your name is on the invitation list! 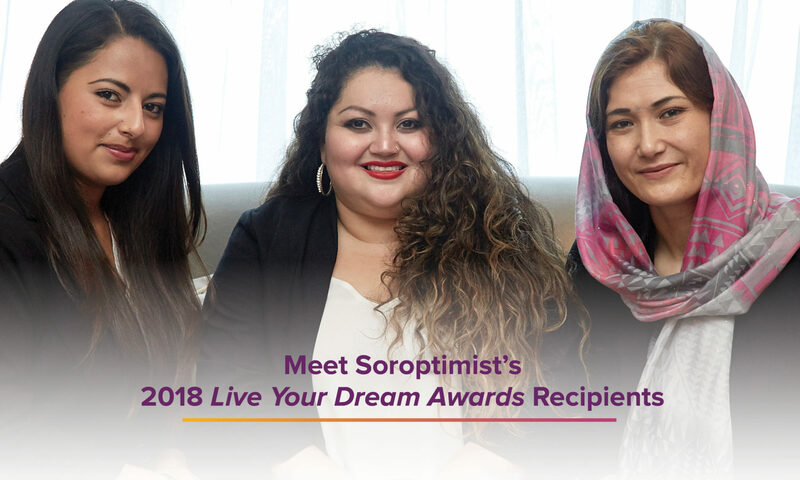 As school expenses rise, women who could benefit from a Live Your Dream Award are counting on Soroptimists now more than ever. On average, a semester’s supply of textbooks costs $600. In a year’s time, your $50 monthly contribution makes it possible for a woman to complete 15 credits with one less worry. That equals dreams coming true! Enroll today. Don’t Drop the MemberSHIP Anchor! 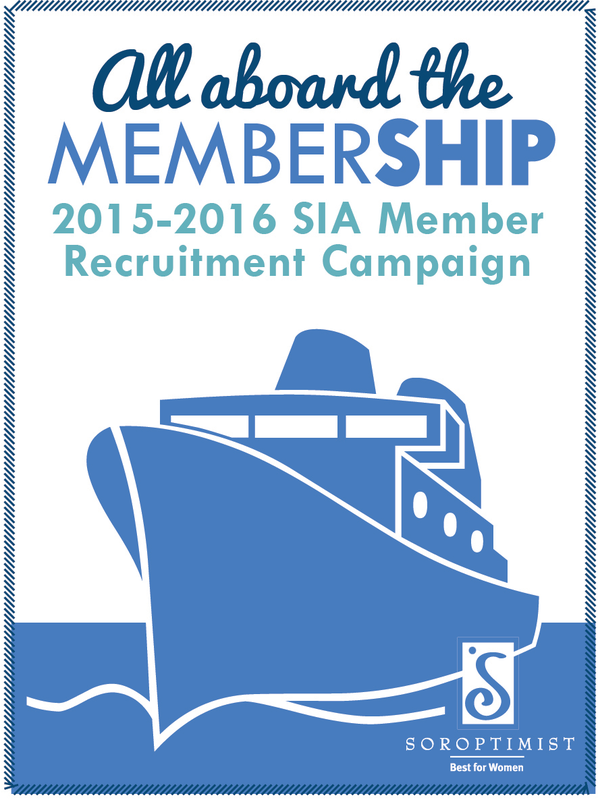 The first year of our “All aboard the MemberSHIP” recruitment campaign is nearing its conclusion, but don’t cast aside your oars so quickly. The cruise will be sailing into new waters as we will be continuing the campaign over the next two years to help increase our collective impact! New for this year: additional recognition levels, which include a retention component and an extended timeframe giving a full 12 months of club and region recruitment efforts. More details will be coming soon! Save the date for June 1, 2016, when we launch the next phase of the campaign! Members join and stay involved with Soroptimist for various reasons, so it’s important to know what those reasons are. The good news is we’ve uncovered what qualities members value most from their Soroptimist membership! Read more about the top five values that make prospects want to join and keep current members coming back for more. You helped choose this new pin, now don’t miss your opportunity to own one! The beautiful oval rhinestone pin will add sparkle and style to your Soroptimist attire. Don’t miss your opportunity for savings on the two-tone rhinestone pin while they are marked $5 off! The tack-back pin makes a great gift.